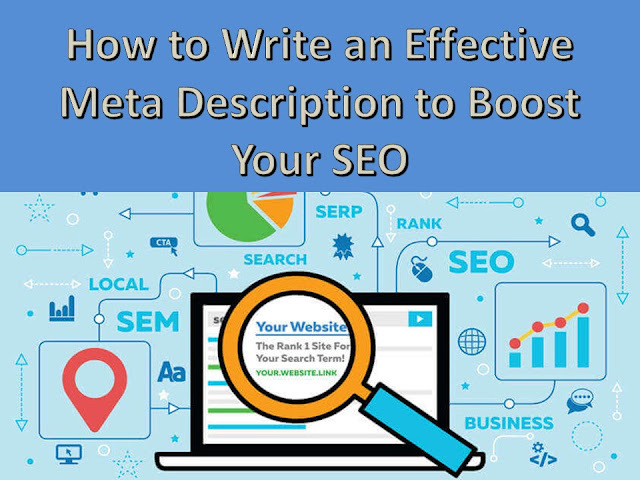 Writing an effective meta description is pretty important to improve CTR in the search engines and boost your SEO. Meta descriptions help users and search engines to understand your pages better. Meta description writing services companies suggest writing unique and concise content for meta descriptions. You are trying to provide the knowledge to the user about your business or website. You should not exceed more than 160 to make the Meta description effective enough to have an impact on the user. Long Meta description made the viewer bored and confused that what the web is offering us. In other words, make it short and to the point. This is one of the mistakes lots of people make. They don’t write the Meta description like you are showing about your website but in fact, put lots of information in it relating to many other pages of yours. When in fact, a good meta description means focusing on two points.” What your website” is about and “why should the user visit your website”. When you will focus on these points and will write the Meta description, then you will convey the message in an effective way. This is one of the tools in of Meta description in which you can persuade the viewer to visit your website for sure. What you need to do is, write the Meta description in a way in which you had the names of different companies whom you have worked with or have an affiliation with. If those companies are of some prestige and the viewer reads their name in the Meta description then, they will not hesitate but to look into it. Don’t go crazy in writing names. Be mindful of the word count and also the message you want to convey. Don’t lie or deceive the viewers about your website. Whatever type of web you are and whatever type of services you are offering, even if they are not unique or attractive, still you can talk about them. If you are going to focus on the truth and the factors above, you can boost your SEO without any hiccups. What I mean here is that you need to make the Meta description appear in a way which is the solution to the viewer. Show them the benefit they are going to get if they will click on your link. The description should be informative and at the same time attractive. To conclude all of this, don’t forget a good content is what makes the Meta description more effective. So along with SEO, do focus on the content which is lovable and informative. I hope you are going to implement these strategies.